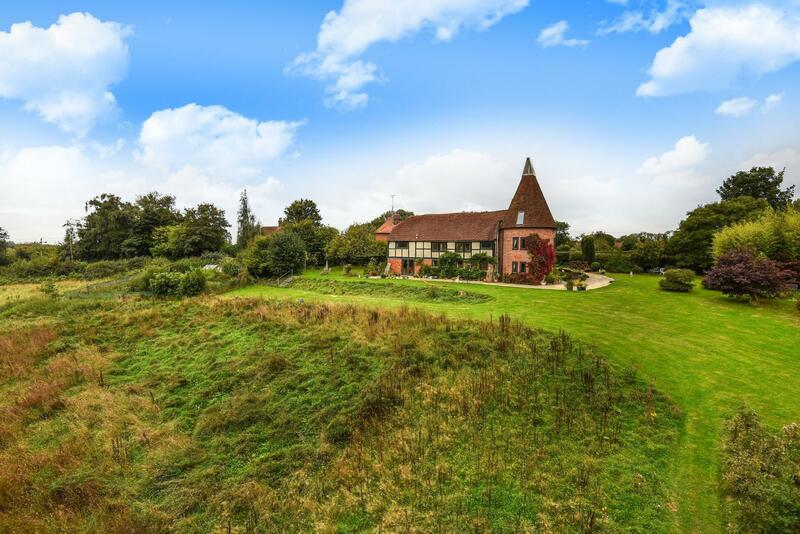 On the outskirts of the village of Hellingly in an elevated position with views sits this exceptional detached period residence with gardens and grounds of six acres. 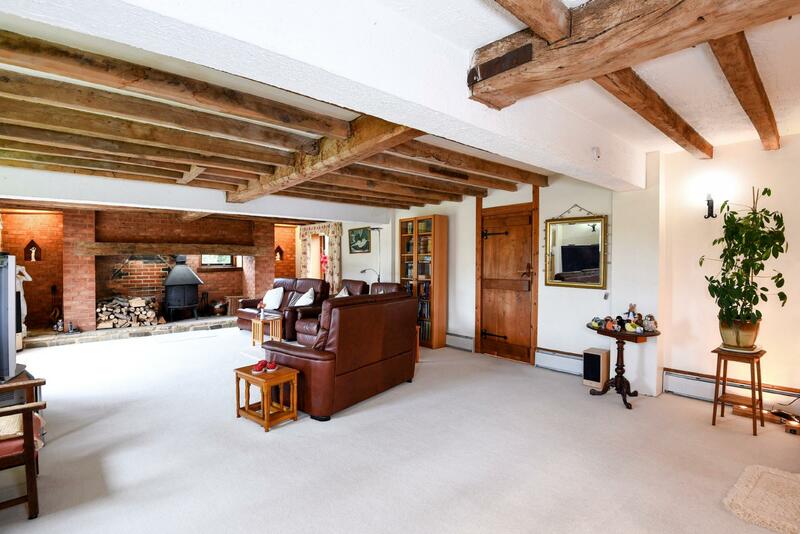 Converted from an Oast and Granary in the late 80's this Grade II listed home retains a wealth of period features and exposed timbers. 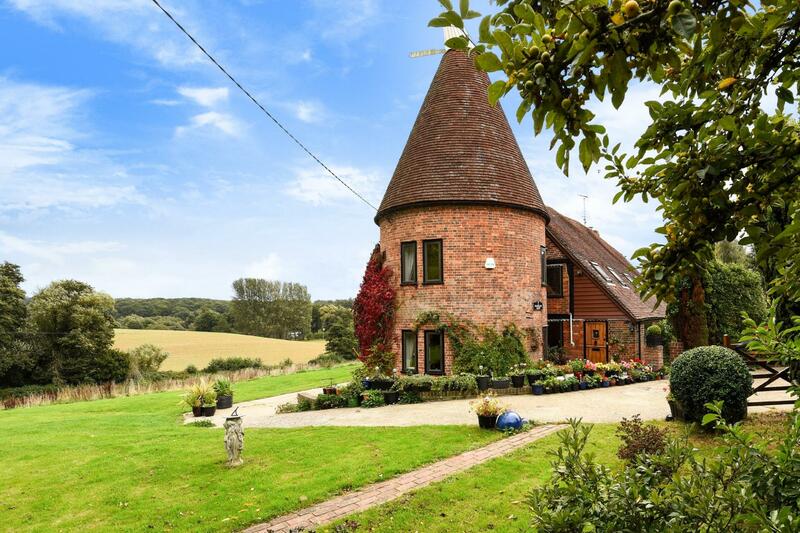 We are pleased to offer to the market for the first time in over a decade 'Magham Oast'. 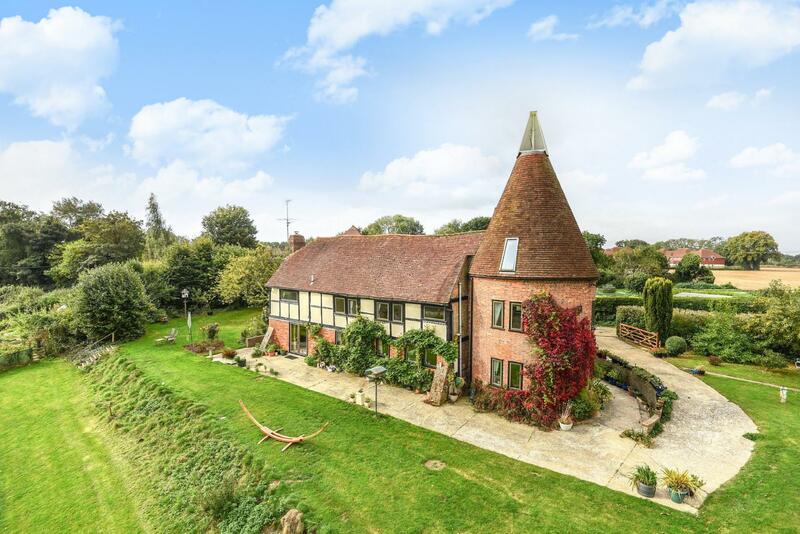 A most interesting listed single Roundel Oast and Granary conversion believed to date back to the 17th Century which was converted into a residential dwelling in the 80's. 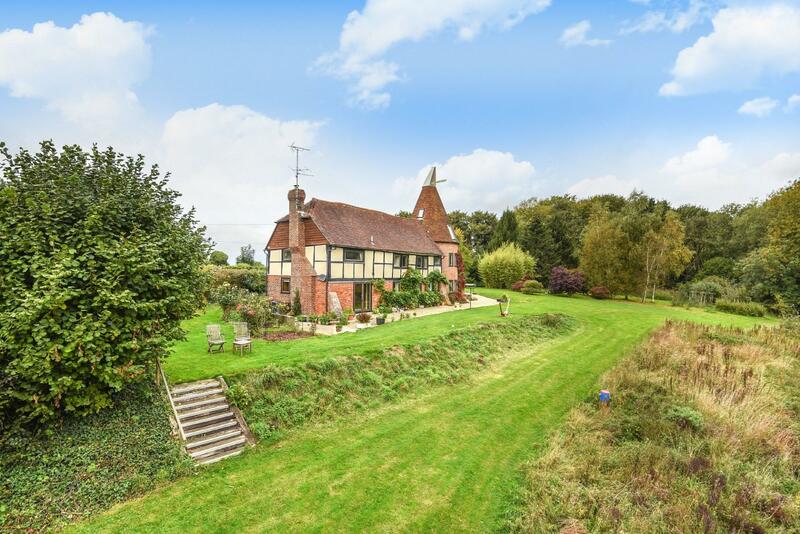 Set at the end of a private no through road in an elevated position overlooking your own gardens, woodland and fields beyond is this substantial home offering a wealth of period features. Ideal for those looking to leave behind the hustle and bustle of towns this property offers complete peace and tranquillity with enough land in which to relax; including 2.5 acres of woodland with a stream running through, 3.5 acres of wild meadowland which incorporates a flourishing orchard, a very large kitchen garden plus a big garage/workshop block totalling nearly 1000 sq ft.
As you turn off New Road down a maintained track passing by a number of other houses and converted farm buildings you finally reach the Oast House on the right. Whilst there is space for a couple of cars to park outside the house, further along the track is the garage block which can accommodate at least four vehicles. Until you get out of your car the house is almost completely shielded from view, a small path leads you round to the front door with a covered porch providing you with shelter from the rain. 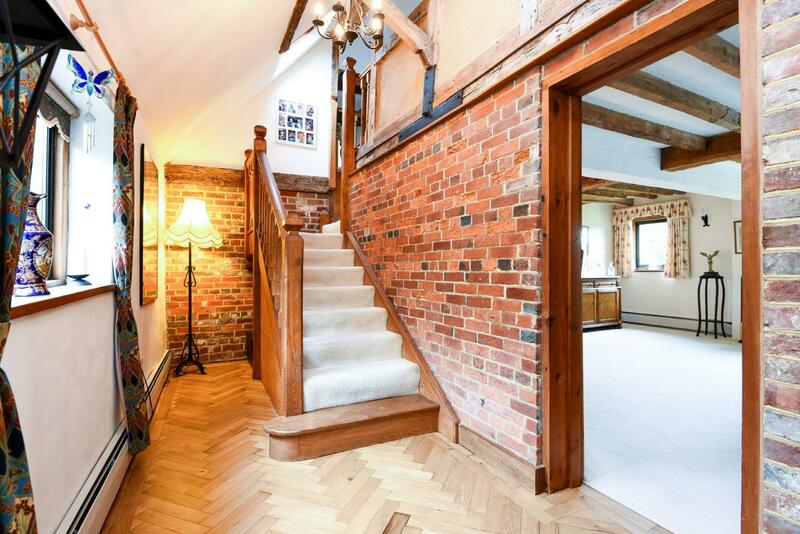 The front door opens up into the entrance hallway which gives you an immediate sense of what is to come; vaulted ceilings, exposed brickwork and beams greet you upon entry and whilst stairs will lead you up to a mezzanine landing area, a door to the right takes you through into the living space. 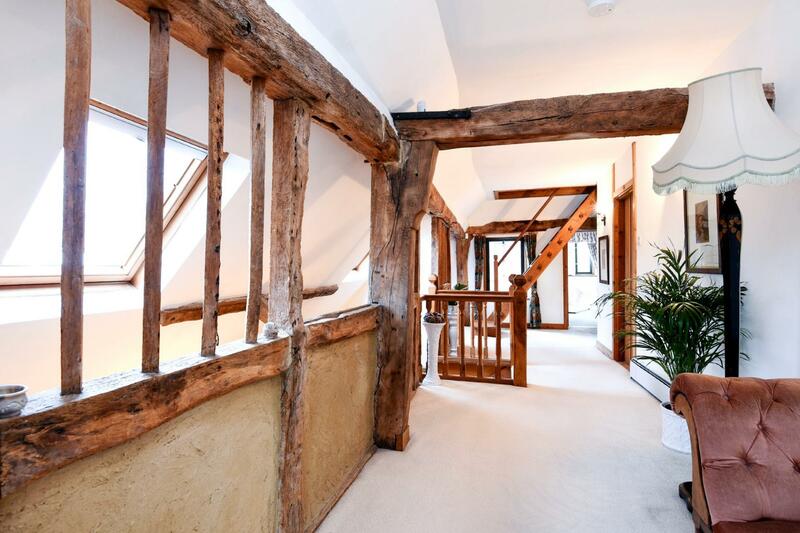 Beginning with the triple aspect living room which almost occupies the entire floor space of the old granary, you get your first glimpse of the views this house offers from almost every room. A beautiful inglenook fireplace commands centre stage and benefits from a Norwegian Jotul wood burning stove with sliding doors to facilitate its additional use as an open fire. 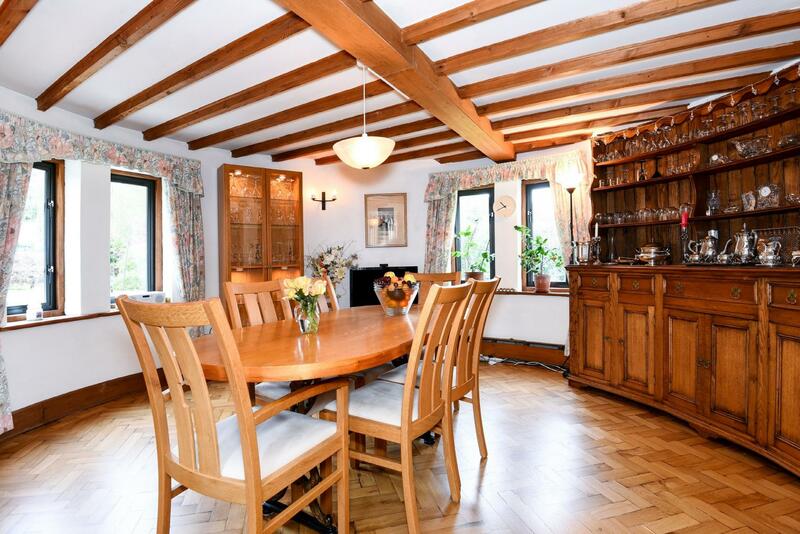 Despite the room being heavily timbered, the ceilings are high and the sheer proportions of the room together with the French doors leading out onto the garden allow for a vast amount of natural light, leaving you with a bright and airy entertaining space. 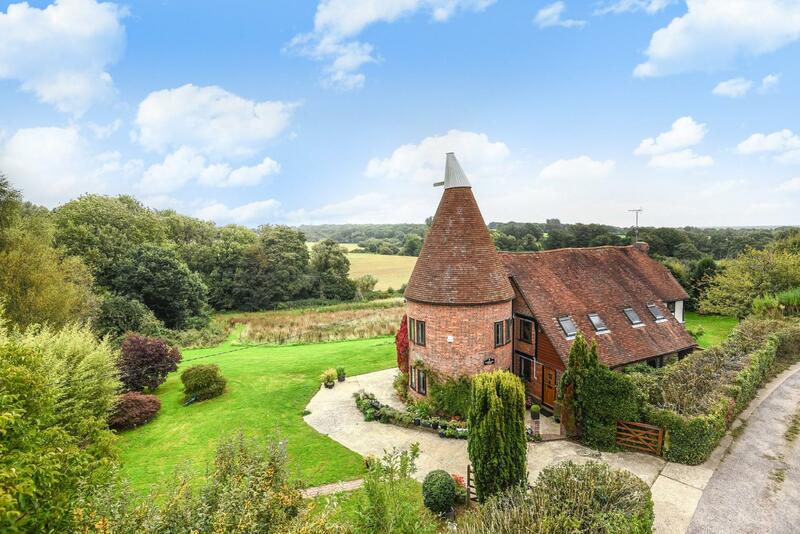 Connecting the granary to the oast is the kitchen and utility room which have both been recently renovated by the current owners. The kitchen comes complete with built in appliances including a double oven and hob, whilst the utility room houses the washing machine. A stable door leads out to the aforementioned parking area and tends to be used by the current owners on a daily basis. In addition a very useful larder helps keep the rest of the kitchen clear of clutter. 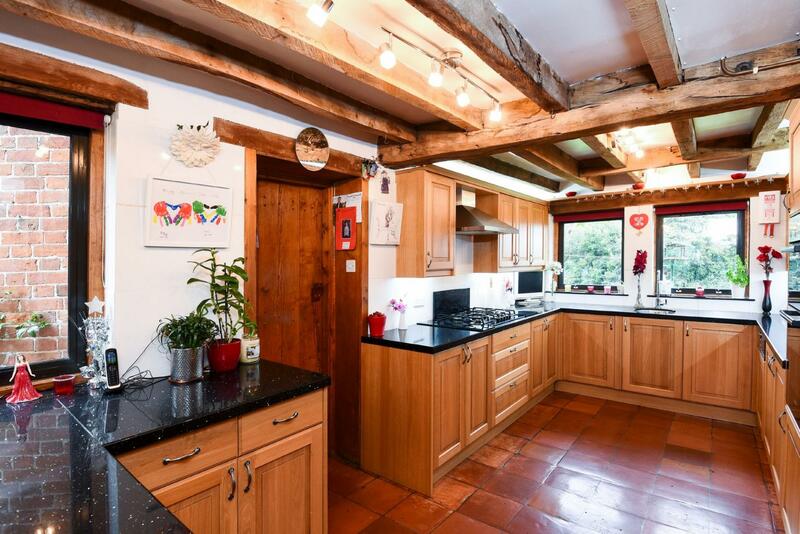 The kitchen has a door which leads through into the Oast. The formal dining room is the first of three rooms within the roundel. A quite exceptional space with enough space for the whole family to dine and with numerous windows overlooking the gardens and grounds beyond; furniture for roundels is usually custom made and so it is worth mentioning that the dresser will stay. Back in the entrance hallway and before we rise to the first floor you will find a cloakroom just by the front door. 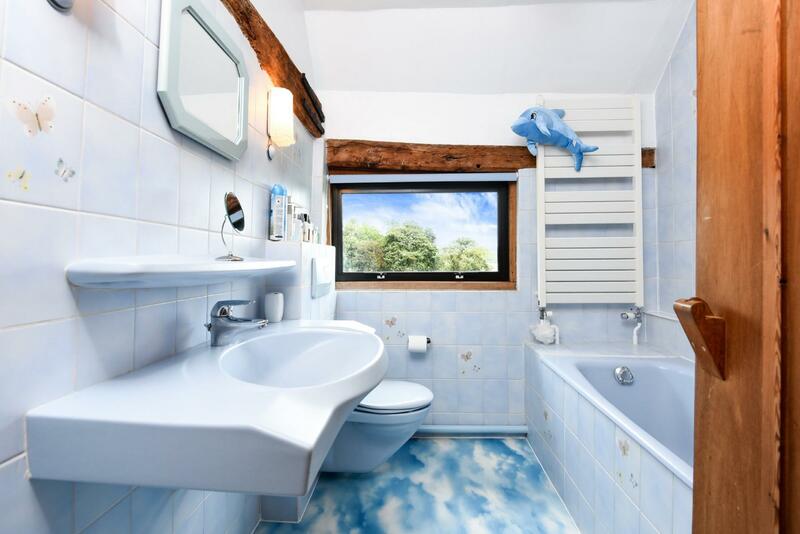 The first floor boasts three large bedrooms and two bathrooms. 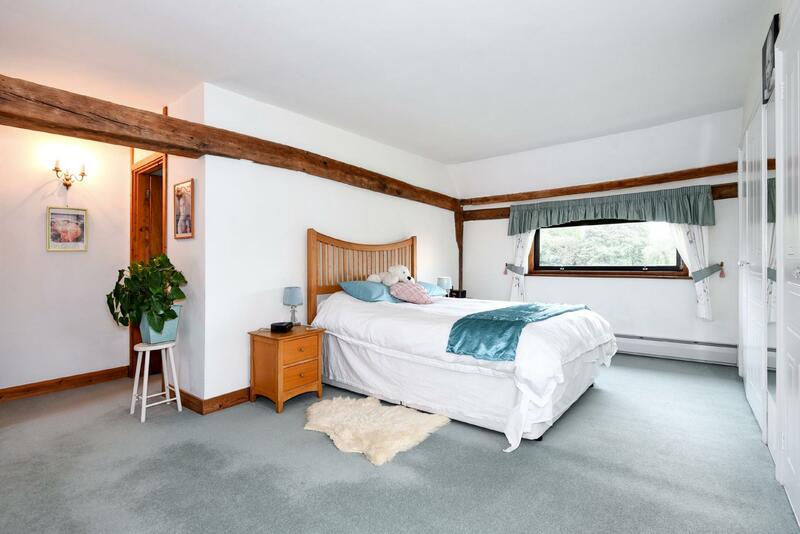 The master suite is above the living room and benefits from exceptional views over the rural countryside which is home to a variety of Owls and other nocturnal life. 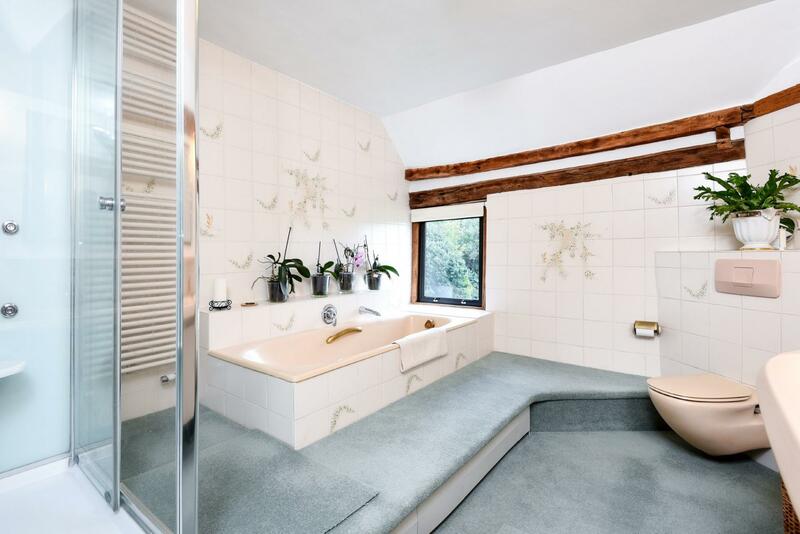 Built in wardrobes as well as a vanity area negate the need for much furniture therefore the master bedroom is pretty much complete when you include the large en-suite bathroom with a newly installed separate steam/shower cubicle. 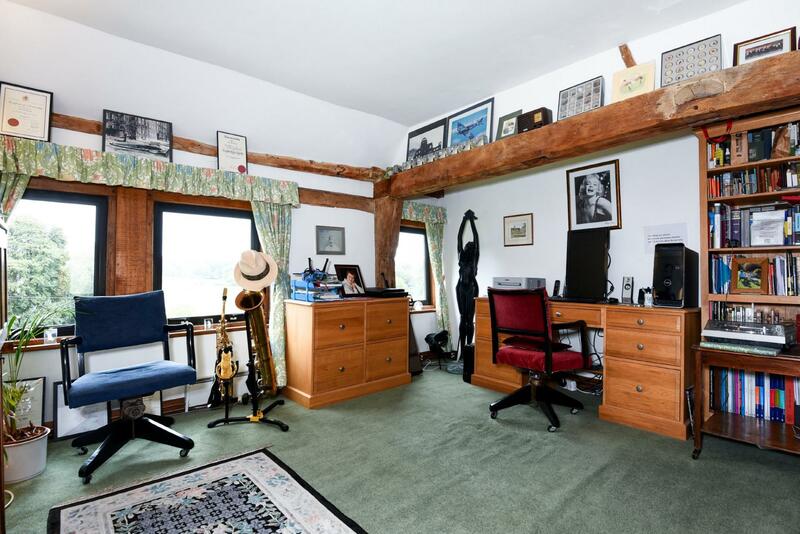 The second bedroom is currently used as a home office/study and whilst it is the smallest of the four bedrooms could comfortably fit a double bed. 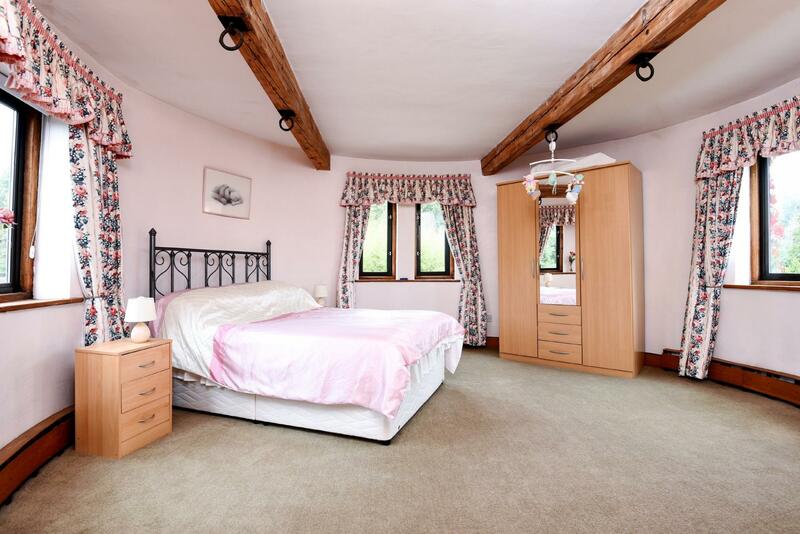 The third and fourth bedrooms can be found in the roundel on the first and second floors. 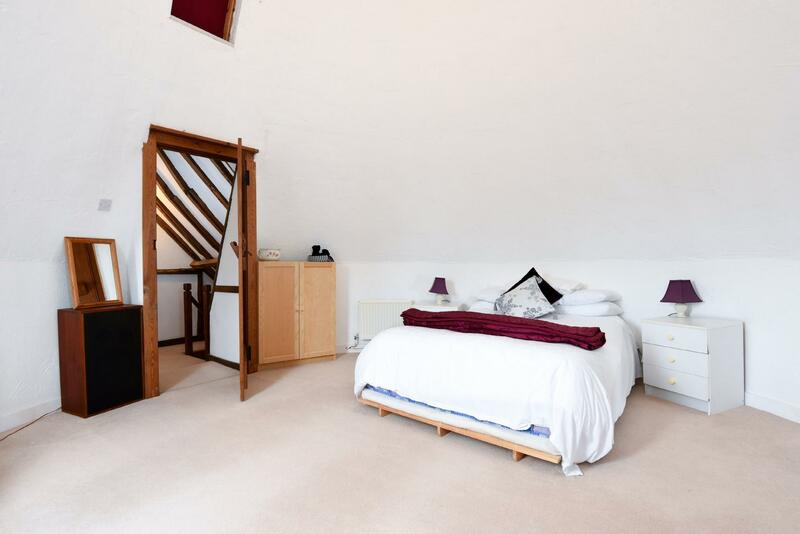 The top floor roundel bedroom benefits from a high ceiling leading up the working cowl above. 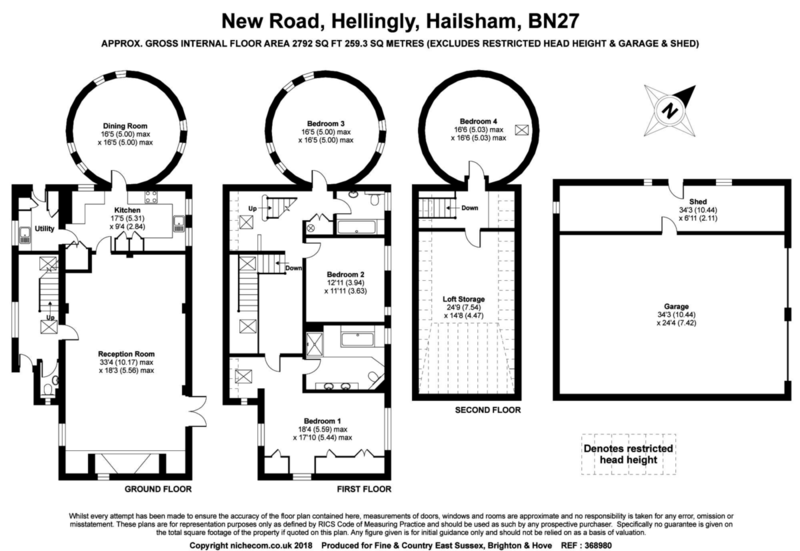 Across the second floor landing is access to a vast loft space which could easily be converted into a further bedroom or a bathroom for the top floor roundel bedroom; however, the family bathroom complete with shower over bath back on the first floor has been considered enough for the three extra bedrooms by the current owners. Externally I have already mentioned the gardens and grounds totally six acres. The woodland pretty much takes care of itself and is home to a variety of wildlife from deer to badgers, buzzards to woodpeckers; logs for the wood burner are in abundance. The remaining 3.5 Acres includes a wild meadow with a wide variety of flowers, a large kitchen garden suitable for growing all kinds of vegetables and herbs and over 35 fruit or nut trees and fruit bushes, the majority having been planted in the last 10 years. Also worth mentioning is the stream which runs through the woodland and signals the boundary between the farmers land and yours.